Eighty-Eight Brewing is coming down to takeover the space for our next edition of Sunday Sips. We'll be hosting Co-owner Brendan Barnett to chat about your retro-inspired craft beers. And we'll be doing a special menu including Pork & Pineapple Tacos and Jerk Chicken Patties. Come down for the takeover, stay for the afternoon. February 28, 2019 at 7PM. We're back with another round of wine tastings at Our Daily Brett and we couldn't be more excited! To kick things off for 2019 we've invited Andrew Stewart from Vino Al Vino to share some gems from his portfolio. Vino Al Vino is a Calgary, AB based wine importer of low intervention wines which have almost no chemical and minimal technological intervention in growing the grapes and turning them into wine. Andrew will be presenting six different wines from six different countries each with their own unique style. They will range from from cloudy, to clean, funky to fun, and light to heavy. Light snacks provided by Our Daily Brett. Our friends at Parts + Labor are hosting a screening of the gut wrenching film Won't You Be My Neighbour? in support of The Alex Community Health Centre. The screening of the documentary about Mr. Rogers will be complemented by some light bites from yours truly and interactive experiences throughout the night. The Alex offers programs offering low-income Calgarians affordable dentistry and housing as well as food security. We can’t wait to see you there! We're back at it with another delicious wine tasting on Thursday June 14, 2018. We had so much fun with Mark Kuspira from Crush Imports at our Spanish wine tasting a few months ago that we're bringing him back. This time, he's bringing his arsenal of Australian ('stralian) wines (including ODB favourite BK wines!) and we couldnt be more excited. As always, the chefs at Our Daily Brett are going to bring the heat with an Australian inspired menu of snack-style small plates. Think Shrimp on the barbie and meat pies! Tickets are limited so gather your mates and grab your tickets. $65 includes taxes, fees and GST. 5 Australian Wines, 5 Australian inspired snacks. Drop us a note with food allergies, questions, or just to say "hey, mate!" at info@ourdailybrett.com. 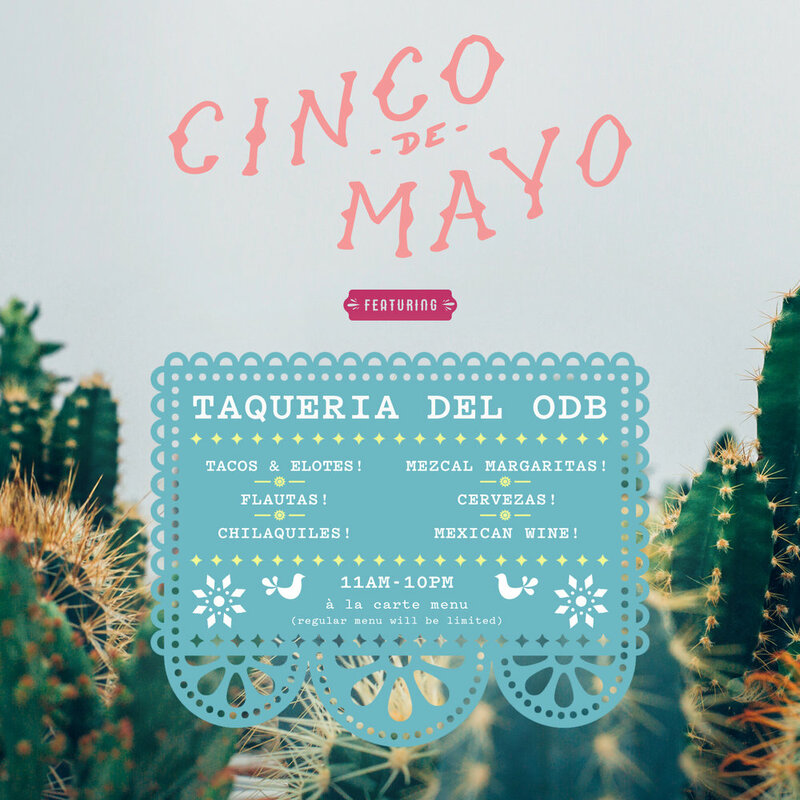 We're celebrating cinco de mayo this Saturday by serving up tacos, mezcal margaritas and other treats from 11AM-10PM. No need to make a reservation. Just show up hungry with your friends and order off the menu (posted below!). Keep your eyes on our instagram page HERE for some giveaways leading up to Saturday! We're bringing in the big guns for St. Patrick's day this year. Join Annex Ales and ODB for a night of local ales paired with a five-course Irish dinner at Our Daily Brett. 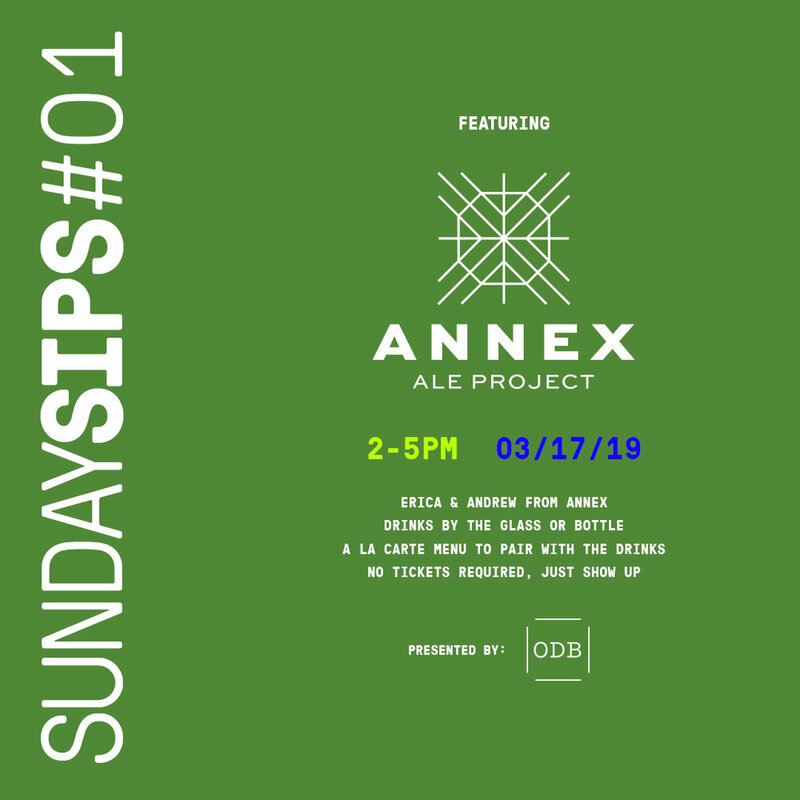 Annex proprietors Erica O'Gorman and Andrew Bullied will be on hand to tell you all about their delicious beers and the process behind them. Tickets are limited. Please email us at info@ourdailybrett.com with questions. Buy tickets HERE. Join us for an evening of Spanish wines and tapas with Crush Imports' founder Mark Kuspira. Join us for a night of wine, snacks, slow jams and friends. We're turning ODB into a restaurant this February 14 and you're invited. We'll have a small shared plates menu and some scrumptious wines by the glass. We hope to see you there whether you celebrate valentines day or palentines day or just want to share in the good times. Feel free to forward us your song requests in the coming weeks (Boys to Men is not off the table). What better way to celebrate having our liquor license than inviting you all in for an evening of educational drinking and hearty snacking? This December 14 we'll be pouring a selection of wines from our favourite natural wine importer, Juice Imports alongside cheese and charcuterie and some other fun ODB snacks. Tickets are $58 plus GST and service fees. Gather up a few pals and order now by clicking here. What are you doing on June 22? We're going to be making some delicious food alongside all the restaurants listed above for this pop-up dinner at Festival Hall in Inglewood. Tables are $550 and seat 8 people. Dinner includes a drink upon arrival, snacks, and a family style dinner. So scoop a table and then invite 7 of your funnest friends and we'll have a tasty and boozy time together. You can buy a table at ODB or over-the-phone (contact our events manager, Andrew, at events@ourdailybrett.com to coordinate).